Disciplinary work is conducted within a socially constructed framework of assumptions, processes, methodologies, and discovery that are particular to, and embedded in, a specific discipline. Disciplinary paradigms define the discipline and provide it with a cohesive integrity, but they also operate as barriers for those outside the disciplinary community. For collaborative explorations and research—whether in the form of interdisciplinary, multidisciplinary, or transdisciplinary work—it is necessary for those involved to first recognize and appreciate these paradigmatic boundaries before negotiating them. The approach of the bricoleur is different. Bricoleurs make do with fragments of previous knowledge, analogous encounters, and different disciplinary experience and use them to gain new insights into the problem at hand—insights that may be partial but which are also both pragmatic and functional. This chapter considers the nature of bricolage and the approach of bricoleurs in conducting explorations of transdisciplinary territory. At first glance, knowledge production might seem relatively straightforward; however, the notions that knowledge is approached in a neutral fashion or that knowledge is produced simply for its own sake are challenged by a number of realities. First, existing knowledge and the advancing frontiers of knowledge production are selectively defined and recognized according to existing disciplinary assumptions that highlight and privilege the discipline’s current understanding of usefulness, validity, and generalizability. Second, knowledge is produced, recognized, and conserved—or ultimately rejected and superseded—within distinctive paradigms and ideological frameworks (Kuhn, 2012) that serve to define the discipline and shape its ongoing research efforts. Third, those who produce new knowledge—and those who will eventually consume or utilize that knowledge—do so within overarching political, social, and economic frameworks that inevitably set agendas and establish preferences regarding the nature and the utility of what is deemed to be knowledge (Olssen & Peters, 2005; Ozaga, 2007). Knowledge production is heavily—but not exclusively—centered in the research function of the academy, where individual disciplines are self-defining and where each has established a characteristic methodology and developed a “specialized terminology, a community of practitioners, a canon of authorities, an agenda of problems to be addressed, and perhaps more formal signs of a professional condition, such as journals, textbooks, courses of study, libraries, rituals, and social gatherings” (Kelley, 1997, p. 1). Academic disciplines are socially constructed, culturally conserved, and increasingly driven by ideological assumptions and preferences. As Shulman (1993) observed, the very term disciple is significant because “it not only denotes a domain but also suggest a process: a community that disciplines is one that exercise quality, control, judgment, evaluation, and paradigmatic definition” (p. 6). The power and authority of the disciplinary community regulate the ways in it defines itself and—often obliquely and sometimes unintentionally—these same forces define what the discipline is not and with what it should, or should not, be involved. Disciplinary identity and identification create disciplinary boundaries that may not be implicit stated, but which are nevertheless recognizable to community members. Boundaries delimit the territorial range of the discipline and function as barriers that prevent members from venturing beyond their familiar and established territory (White & Hanson, 2002; Quattrone, 2000). Academic disciplines and communities of professionals perpetuate the accepted boundaries of their disciplines through the education and socialization of their novices; that is, through what Lee Schulman (2005) has called signature pedagogies—“the types of teaching that organize the fundamental ways in which future practitioners are educated for their new professions” (p. 52). The signature pedagogies that are associated with individual disciplines are pervasive, reinforcing, and “implicitly define what counts as knowledge in the field and how things become known” (p. 54). Commenting on the purposeful distinctiveness of disciplinary education, some have asked rhetorically: “What does our pedagogy reveal, intentionally or otherwise, about the habits of head, hand, and heart as we purport to foster through our disciplines?” (Gurung, Chick, & Haynie, 2009, p. xii). Those educated, trained, and living within the confines of the disciplinary community may be wary about approaching the knowledge margins of their disciplines—let alone actually crossing them. Accordingly, many members of the disciplinary community may require considerable encouragement, support, and training in order to engage in ventures that are characterized as either interdisciplinarity or transdisciplinarity (Owen, Johns, & Etkin, 2011; Snow, Salmon, & Young, 2010; Su, 2016). Disciplinary Boundary: The extent to which the tacit assumptions, attitudes, conceptualizations, epistemologies, and values of a specific academic discipline (such as chemistry) provide that discipline and its associated community of scholars with both professional identity, personal identification, and internal cohesion, but which also serve to distinguish and separate it from disciplines (such as sociology). Boundary Work: Using a spatial metaphor, boundary work is research or teaching that take place at the outer limits of the territory that is defined and colonized by an academic discipline. Boundary work recognizes the cultural, epistemological, and methodological territory of the discipline and the different territories occupied by other disciplines. Boundary work often suggests, or actively involves, interdisciplinary or multidisciplinary research and different teaching cultures. It also frequently requires venturing into the non-man’s land that lies between disciplines and which is claimed by none. Paradigm: A comprehensive and overarching model of understanding that provides members of a disciplinary field with a set of perspectives and rules that serves to identify the issues, problems, and potential solutions within that discipline. It has been noted that a particular paradigm is adopted, conserved, and eventually changed within disciplinary fields because it provides the most successful way of approaching and resolving what are believed to be the discipline’s most pressing problems and unresolved questions. 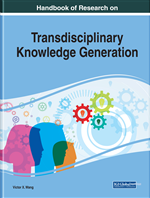 Disciplinary Culture: A common set of assumptions, attitudes, conceptualizations, epistemologies, and values held by members of an academic disciplinary community (such as chemistry or sociology), which is tacitly transmitted to new members and which shapes their views of the nature, production, transmission, and sharing of disciplinary knowledge. Knowledge Creation: The construction of new insight by the learner from existing elements. Knowledge creation is active and centered on the learner, although it often occurs through a process of social exchange and cognitive cooperation rather than uniquely in the mind of the individual learner. Scholarship: The possession of a rich understanding and deep appreciation of the subject matter and culture of an academic discipline, coupled with the ability to articulate disciplinary knowledge in ways that are recognized as considered and innovative by other scholarly peers.